Are you needing a comfortable night's rest? Needing a new pillow? I sure was. I just purchased a GhostPillow, the most comfortable pillow I have ever slept on. The Gel Memory Foam is aerated and has a top layer of phase change material. There is a 100% cotton inner cover and a dual sided outer cover. All these components work together to provide perfect support for your head, neck and spine. The foam adapts independently sensing the weight of your head and the heat from your body and gently molds to you. The aerated foam in addition to the phase change material keep the sleeping environment cool and comfortable. I am a side sleeper and have had so much trouble finding a pillow the supports my head a neck and doesn't have me waking with a crick in my neck or a headache. 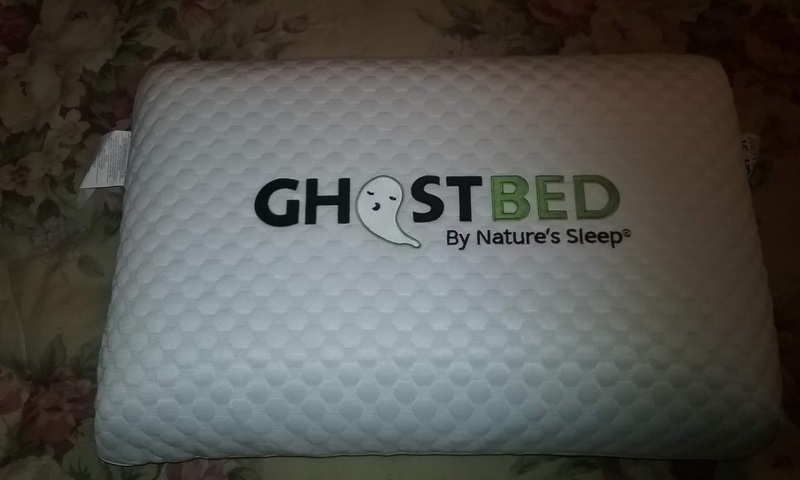 The first night I slept on the GhostPillow I didn't wake up at all during the night readjusting my pillow or flipping it over because my head was hot.This real-time cooling pillow is absolutely perfect for me. I actually woke up in the morning feeling like I was rested, not the tired, not ready to start my day feeling I had almost grown accustomed to. Amazing! I love that there is a 101-night comfort trial period to make sure that this pillow lives up to your comfort needs. I have allergies so I was really happy to know that it is made using CertiPur-US approved Gel Memory Foam. There is no off gassing,PBDE's, etc. Memory foam is also hypoallergenic and dust mite resistant. You cannot wash the inner core of this pillow or get it wet, but if the foam needs to be cleaned you can simply use a damp cloth with mild detergent to wipe it clean, then allow to dry. The outer zippered case is completely washable. There is a 5 year warranty against and structural or workmanship issues. I received mine within just a couple days after I odered it, and the shipping was free.